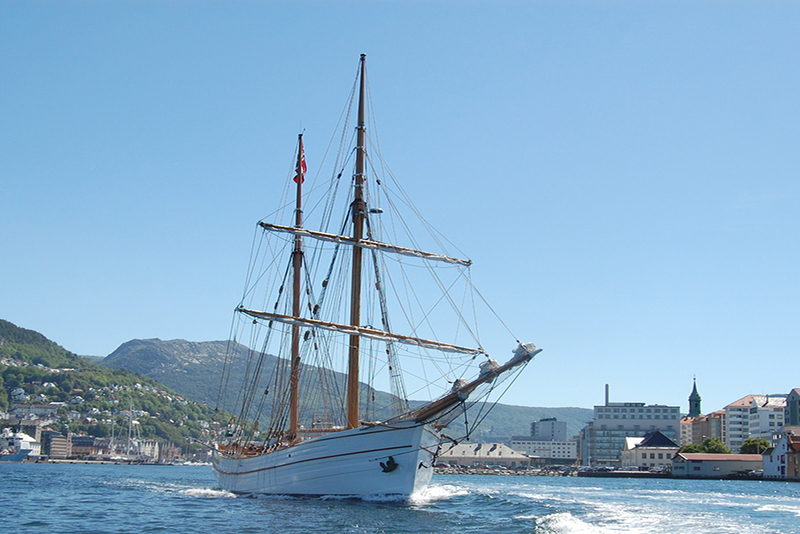 Loyal is a ketch which was built in Hardanger, Norway, in 1877 for fishing. It took around 400m� of timber to build Loyal. The building time was one year with approximately 15 craftsmen at work. 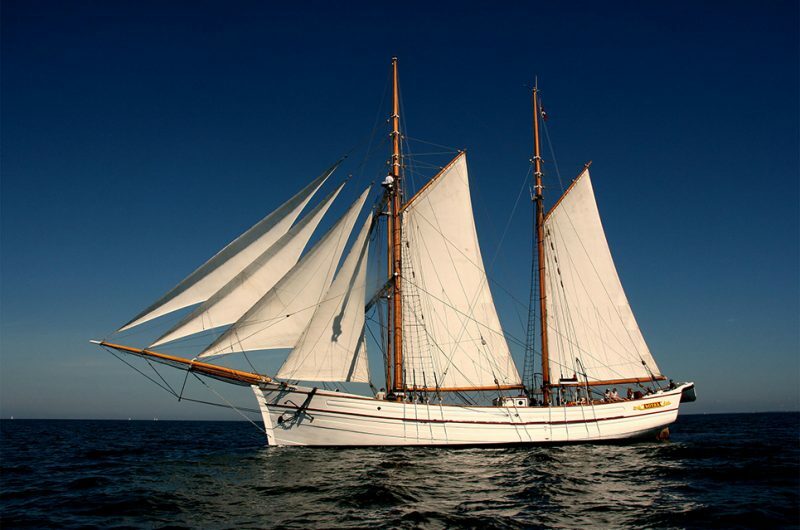 This resulted in a solid self-supporting construction, an elegant and smooth hull, together with firm rigging. To preserve the ship, tar was used for the most part to retain the timber’s own vitality; salt was then impregnated between the skin and the dunnage. When the ships were built, stoppers were placed between the ribs in the waterline so that the salt did not run into the keel. 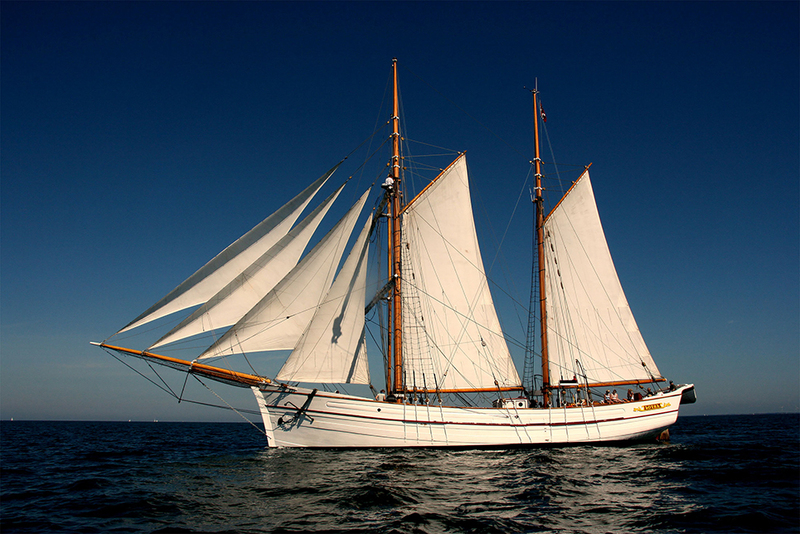 Loyal was then painted white to assist her preservation in warmer climates. Captain Torstein Onarheim owned Loyal from 1890 until 1906. He usually sailed from the south to the north of Norway when he was going fishing, or back home, without stopping, whatever the weather. 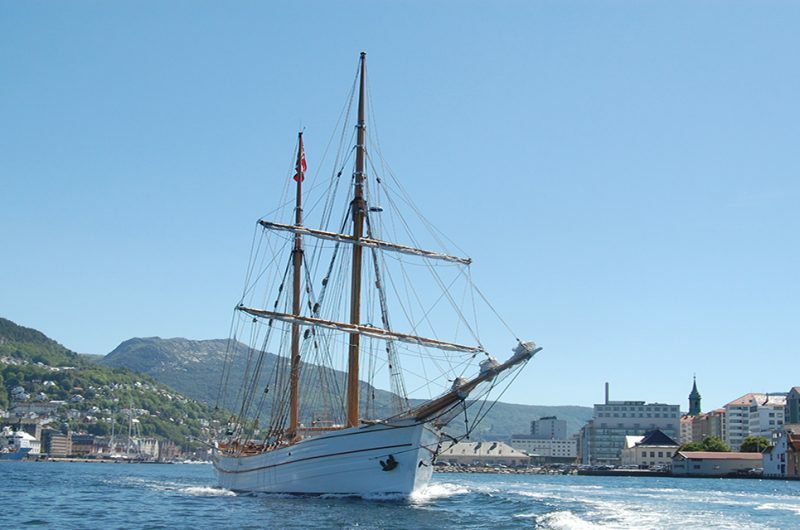 Torstein’s last trip to the north on Loyal lasted 84 hours from Bergen to Troms�, which is as fast as an express coastal steamer. 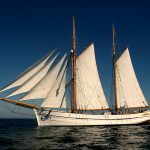 The fishing industry declined in the 1890s and eventually two vessels remained – Loyal and Amada, the latter raised from the sea. 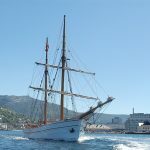 The period when Loyal was built turned out to be the final period of Norwegian maritime trading, ending abruptly in 1879. Forty years later Loyal got her own engine and survived thanks to its loyal crew.